Parent Reminder #1: Visiting Ballerinas Week will be March 18-23! Our Children's Dance students and Elementary Ballet students will have a special visit from one of our Upper Level ballet students who will perform for them and answer any questions they may have! Parent Reminder #2: April 1-6 we will be having Hair Days! We'll be teaching and reviewing with students (and Parents are welcome, too) how to make the perfect bun. We'll be passing on loads of tips on how to put your hair up and get it ready for ballet class each day/week. Parent Reminder #3: We are asking each School of GB family to either purchase or sell one Reverse Raffle ticket for this important fundraising event! Consider it a donation to your child's school of dance . . . one with incredible benefits like a scrumptious dinner & a chance to win $5,000 (or $500 off next year's Tuition)! For PARENTS of students that attend The School of Greensboro Ballet, this page is a portal to everything you need to know to make your child's experience the best it can be! This page is for YOU, a reference for information you may need through out the school year. Student Handbook - Full of information for our students and their parents. To download this year's handbook, click HERE. Calendar - For all the important dates you need to know including School Closings, Parent Observation Weeks, Nutcracker Auditions, Concert Dates, Fun Weeks, Performance dates and more. To download our Calendar, click HERE. - Coming soon! Dancewear & Grooming Requirements - For a listing of what students are required to wear in each level of class, download this form HERE. Scholarships - To download our Financial Assistance forms, click HERE. Tuition & Other Fees - As a reminder of what is owed and when, go to our Class Fees page or download our Registration Packet HERE. You will be charged $25 for paying tuition late (past 5 working days of 1st of the month). Security for Cultural Center - If you see anyone in our building hanging around the Ballet that doesn't have a child enrolled and seems suspicious in any way, feel free to call the GCC Building Security at #336-253-5965. Sign-up for EMAILS - We send out monthly newsletters with lots of reminders and important info for you and your dancer. If you're not already receiving these emails but would like to, sign up HERE. 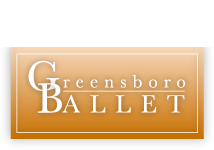 If you have any questions, please feel to contact us at anytime at greensboroballet@yahoo.com or at 336-333-7480. School Registrar - Our School Registrar is Lisa Sheffield and she is located in the first office on the left when you enter our front door. The School Registrar is there to answer any questions you may have and is our liason between you and your child's teacher and/or the administrative staff. Need to make a payment? Want to schedule a make up class for your dancers? Would you like to set up a phone or personal appointment with your child's instructor? Want to purchase a performance ticket or fundraising item? The Registrar is here for YOU, our parents and students needing information (and wanting an actual person to speak with - not an email, or message or text). Mrs. Sheffield works every afternoon, Monday-Thursday, 3-7pm and Saturdays, 9am-1pm. Feel free to stop by her office or call her during those hours at #336-333-7480.